Rich-List: an index of the largest individual addresses on a blockchain, and thereby a spyhole into the activity of the wealthiest holders of any given coin. When I was writing An Altcoin Trader’s Handbook, I figured that one of the most well-received sections would be the one that delved into block explorers (particularly the rich-list) and the extent to which their transparency can be exploited. Whilst I will refrain from detailing the theory and the process in this post, as that is all laid out in the book, I thought that it would make for an insightful extension to that section to run through a rich-list case study in near enough real-time. In doing so, I hope I shall illuminate much on the application of this particular approach, though I cannot guarantee a satisfying conclusion, as the case study will unfold over the following week. I begin writing this on June 19th, and will write up the conclusion to this post in eight or nine days time. Over that time-period, I will collect data on the Blackcoin rich-list at regular intervals, exhibiting all of it within this post and annotating the data with various thoughts and calculations. Those familiar with the process from the book should, with a little luck, garner a clearer understanding of how it all unfolds. I invite you to form your own conclusions in the Comments section when you are done with the read. 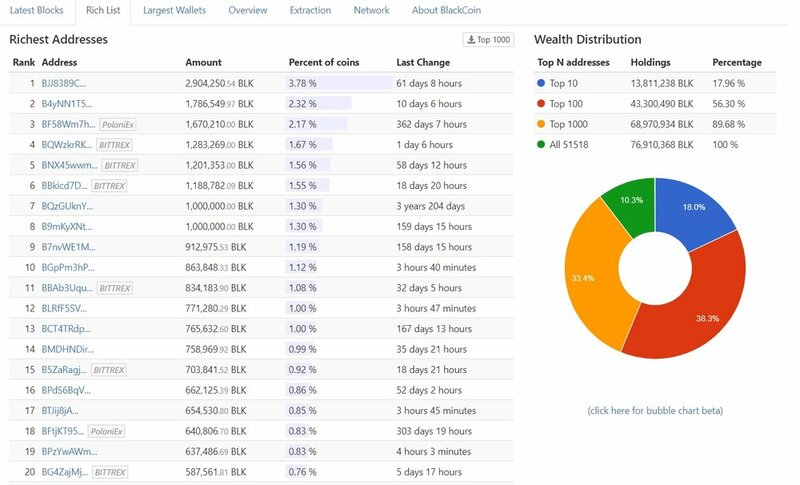 For reference, the Blackcoin rich-list I am using for this study can be found at https://chainz.cryptoid.info/blk/#!rich. 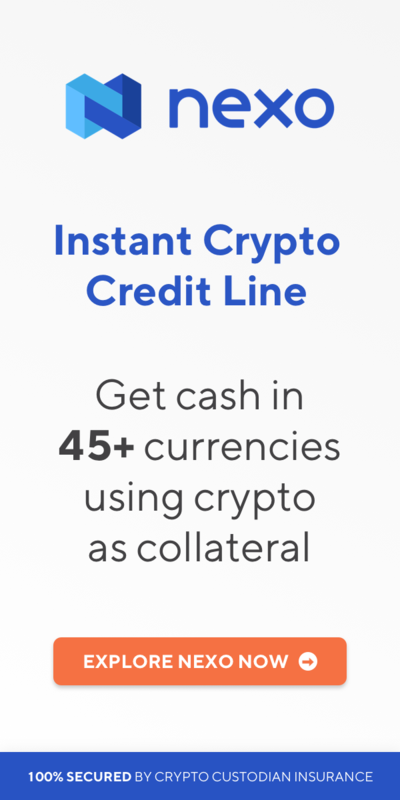 Only a handful of the addresses listed are those of an exchange. This does not mean the coins are owned by that exchange, but rather that they are stored on the exchange by the holder. Thus, the majority of BLK in this rich-list is likely stored locally. Only 9 of the 20 addresses have had any activity within the last 30 days; the rest have been left untouched for a relatively long time. Of those 9, 6 addresses have had activity over the previous week. The richest single address holds almost 3 million Blackcoin (nearly 4% of the supply); an amount roughly equivalent to 60BTC ($360,000). The following screenshots (up until we begin a new day) are all of individual addresses of particular significance. For the purposes of this rich-list case study, I am looking only at those 9 addresses that have had transactional activity within the last 30 days. 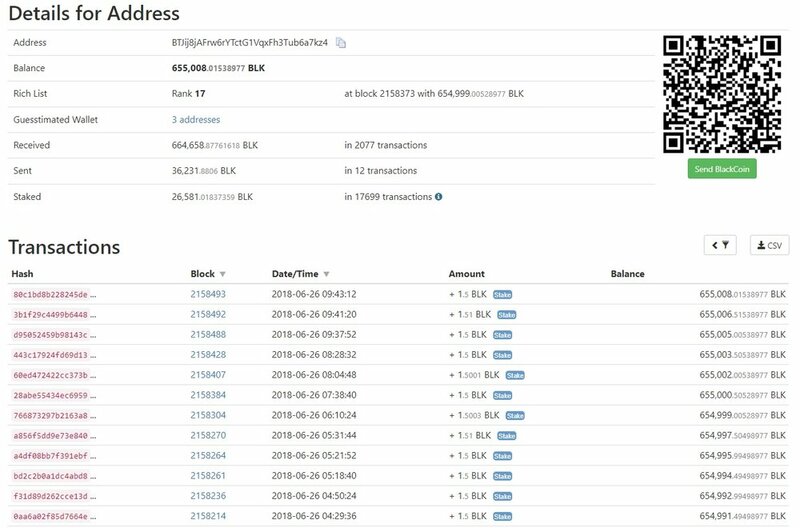 From the transaction data, it is clear to see that this address is staking. 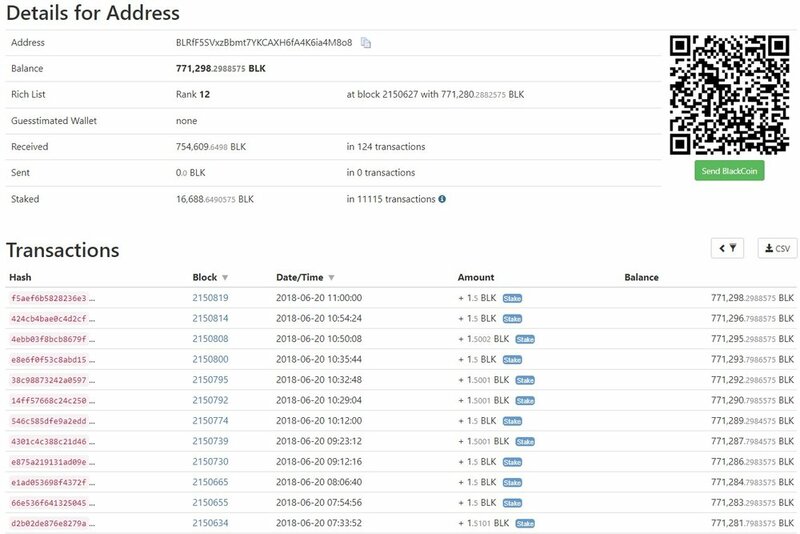 We can also see that there has been 0 Blackcoin sent out from this address over its entire history, thus this address has been in accumulation mode since its origination. 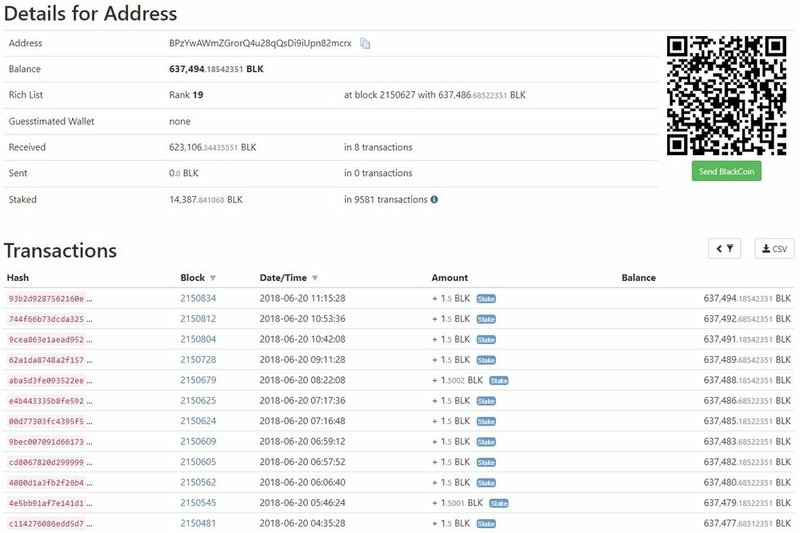 We can see that this address exists on Bittrex, and, as such, it is no surprise that there are a large number of transactions to and from the address over its history. 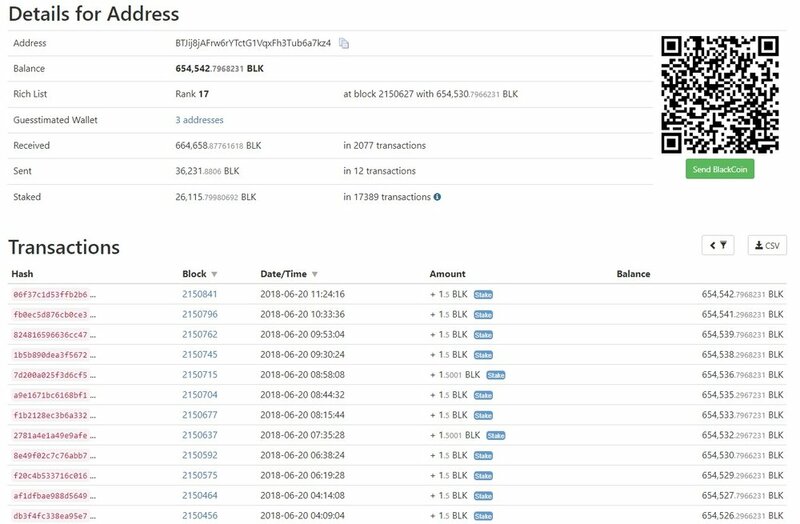 Furthermore, we can see that, despite some distribution since the 7th June, on balance the address is currently in accumulation, as evident by the 46,000 BLK increase in position size since that date. That’s now 2/2 addresses in apparent accumulation. 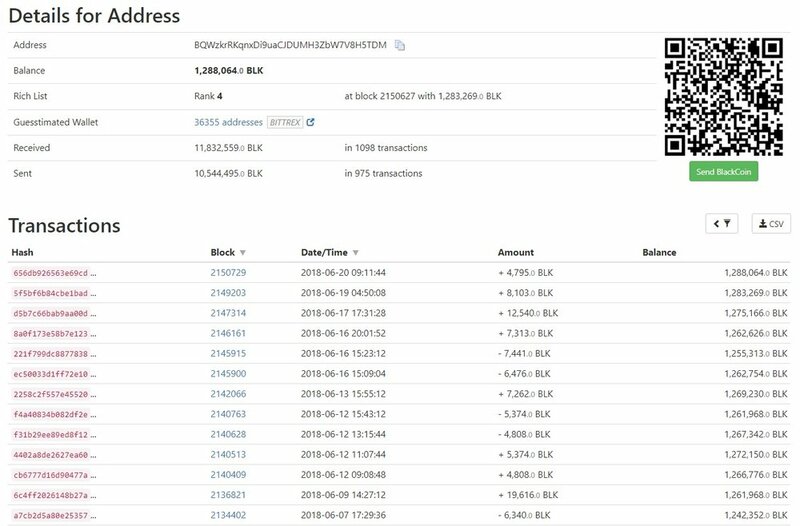 This is another Bittrex address, again with a large number of transactions in and out. 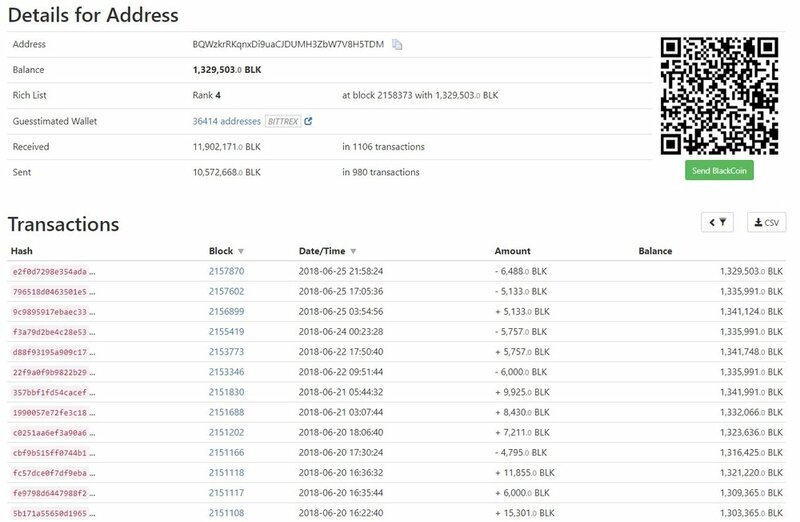 Relative to the previous address, however, we can see that there is less transactional data for the last month, with only one transaction in June and two in May. On balance, the address seems to be in a period of distribution, as, since January 25th, the position size has decreased from 1,266,853 BLK to 1,188,782 BLK. Relatively-speaking, this is a minor change, given that the time-frame for this distribution has been around half a year. Here we have another example of an address exclusively staking, with only 1 transaction out in its history. As it stands, 3/4 addresses in accumulation mode. Alas, another Top 20 address exclusively staking; this time, the 12th-richest. Also, there have been no transactions out since its origination. 4/5 addresses in accumulation. 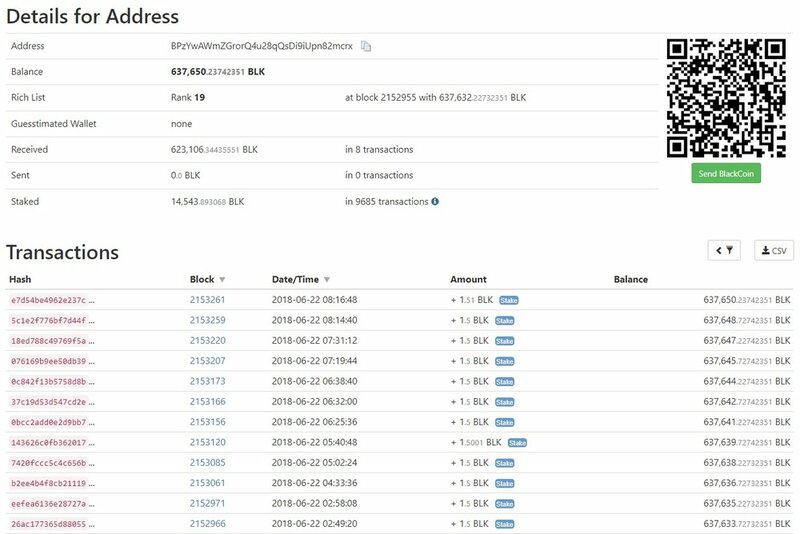 This address exists on Bittrex, but has had far fewer transactions than the previous two Bittrex-based addresses. There have also only been a handful of transactions since September last year. The interesting thing about this address, however, is that it has grown from 28,089 BLK at the end of 2017 to 703,841 BLK as of 1st June. That is a heavy but sporadic period of accumulation. 5/6 addresses in accumulation, as it stands. 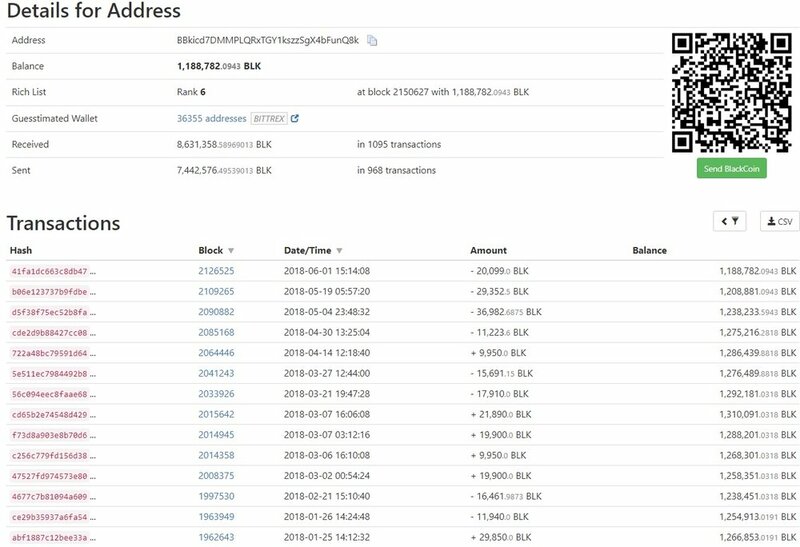 This seems to be another staking address, having only sent out 36,231 BLK of the 664,658 BLK it has received. However, having staked only 26,115 BLK suggests that this holder may simply be selling his staking rewards, rather than accumulating them. I’d call this neutral; neither in accumulation nor distribution of any significance. 5/7 addresses in accumulation. 0 transactions out in its history. 6/8 addresses in accumulation. This address has had a fair amount of transactional activity over the previous couple of months, with its position size decreasing from 701,170 BLK at the end of April to 587,561 BLK as of 14th June. A fairly large decrease in a relatively short span of time. So, of the 9 addresses I have examined with activity in the last 30 days, 6 of them appear to be in accumulation, making it a majority. I have skipped a day, opting instead to collect data every two days. It is 8.30AM, 22nd June, and below you can see a screenshot of the Top 20 richest addresses as it now stands. As you can see, only 5 addresses have had any activity since the previous date of data collection, so these will be the focus of the following screenshots. The 4th-richest address has increased position size by around 54,000 BLK since the first screenshot; a very large increase given that it has only been 48 hours or so. The 10th-richest address remains staking. The 12th-richest address also remains staking. As does the 17th-richest address. Thus, of the 5 addresses with activity since the first day of data collection, 4 are still staking and 1 has heavily increased position size. Two more days have passed, and below is a screenshot of the Top 20, as it stands. This time, 7 addresses have had activity since the previous data collection. The 4th-richest address has decreased position size by 6,000 BLK or so. On balance, it is still up 48,000 BLK since the first day. Well, what do you know? The 10th-richest address is still staking away. The 11th-richest address has recorded its first transaction since May, decreasing position size by 12,459 BLK. Since February, it has decreased its position size by around 244,000 BLK. Clear distribution. The bottom of the Top 20 has decreased position size by around 7,000 BLK. The final day of screenshots is upon us. 5 addresses have had activity since the previous day of data collection. To save you some time: Of the 5 addresses, only this one (the 4th-richest) isn’t due to a continuation of staking rewards. This address has decreased position size by around 12,000 BLK. However, it remains in the positive since the first day of data collection. As you can see, some interesting transactional activity takes place within a week of observation (along with some less-than-interesting activity). I hope that this case study has proved useful for those tackling the Block Explorers and Rich-Lists section from the book. I’d love to hear what conclusions you have drawn from this rich-list data, and how the process is working for you in your own research. Feel free to leave your thoughts in the Comments. I’ll make sure to reply to any questions as best I can. Hi nik, another question in regards to rich lists. Been looking at tokens/coins rich lists, is a coin with say 80% of that coin ( Wabi is the one in mind) in the top 10 rich list a good thing or bad .. to me it seems good for keeping tabs on moves or am i missing something. At the other end ive been looking at ( stakenet ) which has roughly 25% in top 10 . I think a large amount of supply in the top 10 addresses is indicative of a concerted effort to accumulate a dominant position in that coin by a small number of individuals. This then implies that there will be some sort of price push in the future, but of course the greater the concentration of supply the more heavily manipulated a market can and will be, which is a risk. As you say, it’s also far easier to keep track of activity in such cases. Also it seems most my holdings are all on etherscan an not chainz, chainz seems to be a little more easy to navigate from the brief look i had. No worries! One tip I have is to use ethplorer instead of etherscan in your case, as the rich-list is much smoother to navigate.